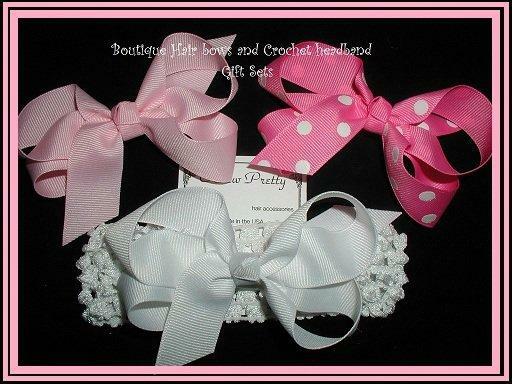 Three boutique hair bows in your choice of sizes and colors plus a crochet headband. Perfect for infants and toddlers. Shown in Light pink, white and polka dot pink with white crochet headband. Choose from hundreds of solid, stripes, polka dots and more to design just the right color hair bow to match her clothing... Available in several sizes.